Exciting activities for adults with autism and Asperger’s syndrome in Kirklees. 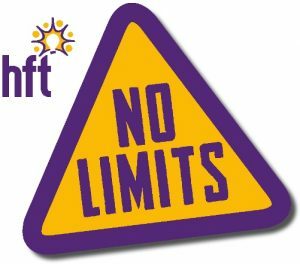 ​​No Limits is a brand new project designed for people with Autism and Asperger’s Syndrome that want to take part in exciting social activities. What we do is up to you! Part of what makes No Limits unique is that we offer different kinds of exciting activities that are developed by our members. No Limits is open to people with Autism or Asperger’s Syndrome. You must be over 18 and living in Kirklees. Membership is free – You only pay for the activities you do. Get out and about enjoying exciting activities in Kirklees and beyond. Be supported to make decisions and plan our events. No Limits can support you to take part in a safe and fun way. We will always spend time getting to know you and what you enjoy doing. If you would like to join or find out more, please contact Lauren, the No Limits Project Development Worker. Her telephone number is 07342 068 940 or you can email her at nolimits@hft.org.uk. Hum Tum (Urdu for ‘You and Me’) is a friendship agency especially for people with learning disabilities from Asian communities. Hum Tum was set up by Luv2meetU and Asian community organisation Hamara in 2011, to take into account the cultural and religious needs of people from Asian communities. Hum Tum is based on developing friendships, allowing people to enjoy a healthy social life and make friends in environments that are familiar and comfortable to them. 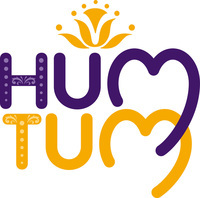 Hum Tum provides activities such as Bollywood evenings, Henna painting evenings and ladies or gentleman only evenings. Members also join together to celebrate religious festivals such as Diwali. Activities take place in appropriate venues, such as those not serving alcohol. How is Hum Tum run? Hum Tum actively encourages involvement from people with learning disabilities and their families within the Asian community. Like Luv2meetU, Hum Tum has robust risk assessment procedures, and members and carers are involved in deciding what type of events to run. Please take a look at our Locations page to find out where we run Hum Tum, or email us at luv2meetu@hft.org.uk.